This view was taken facing southeast at approximately 11:00 AM on Saturday, December 19, 2009. 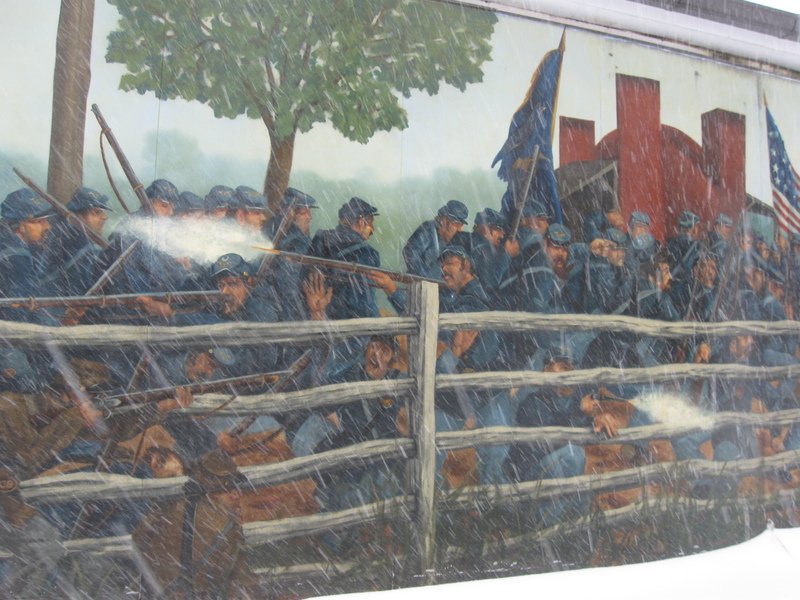 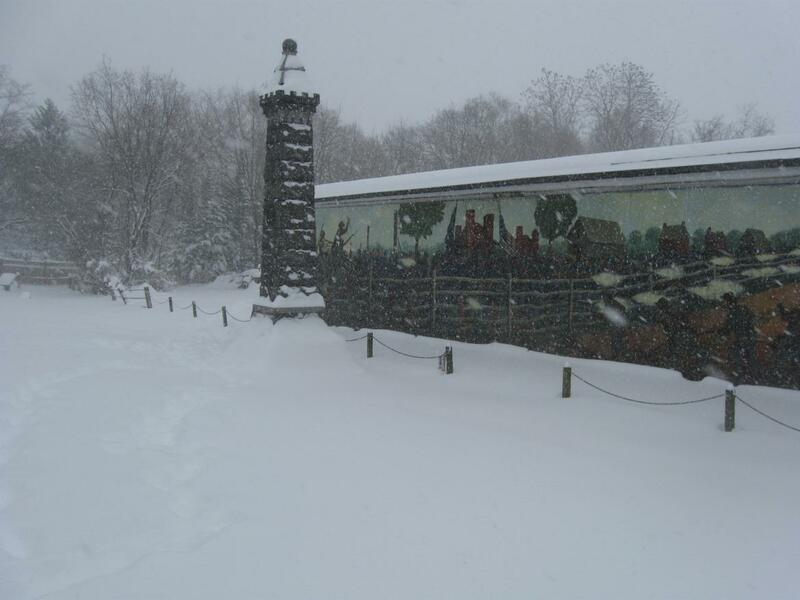 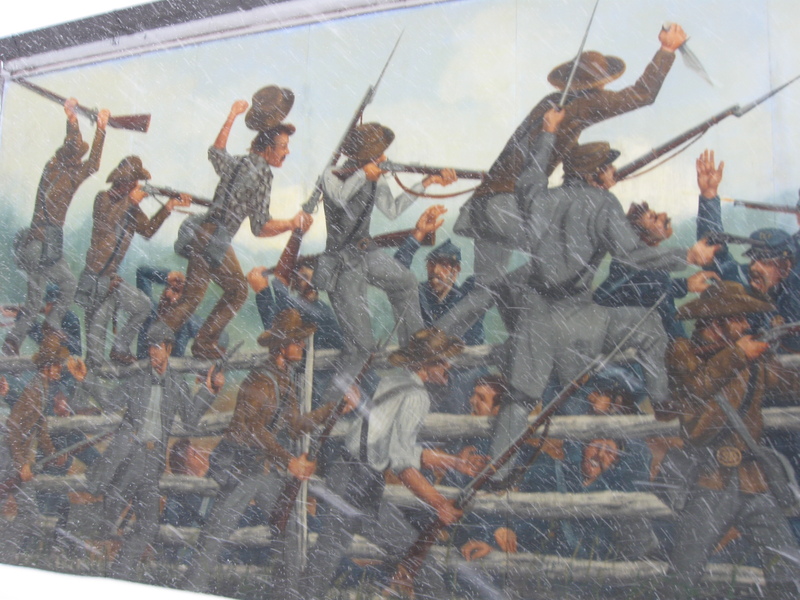 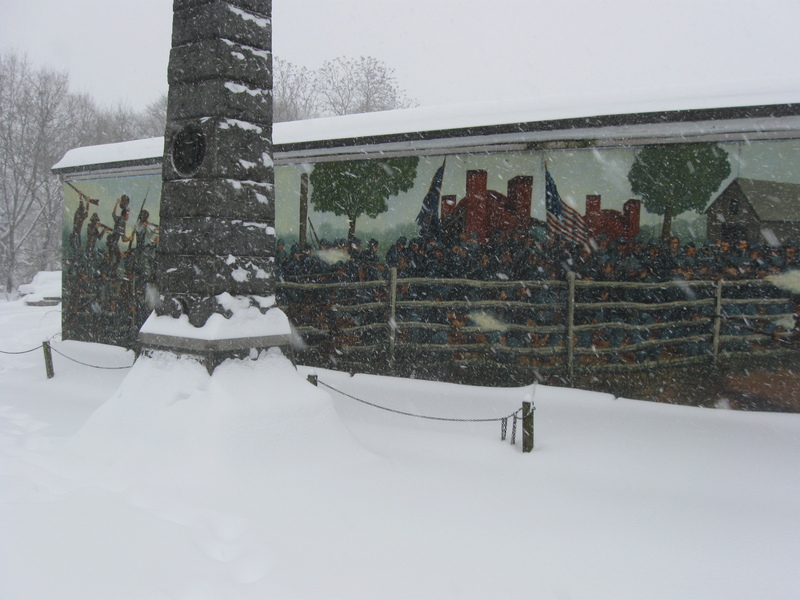 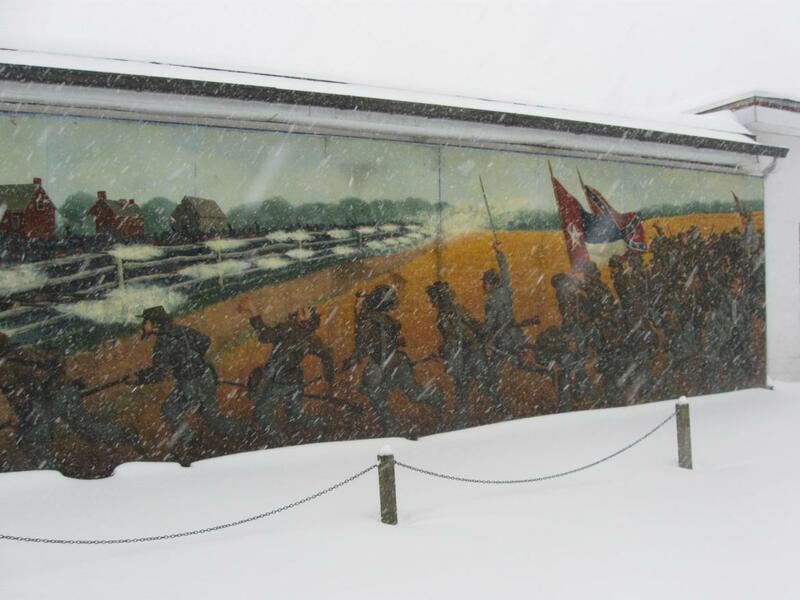 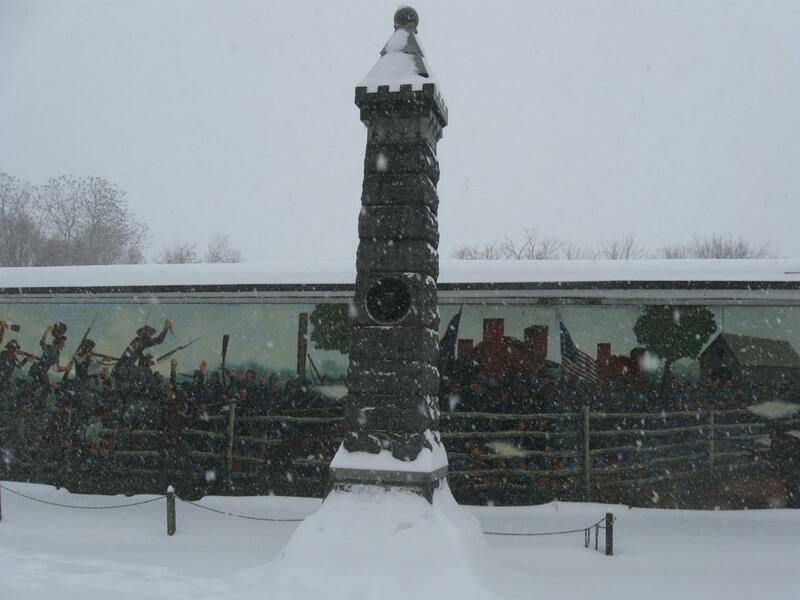 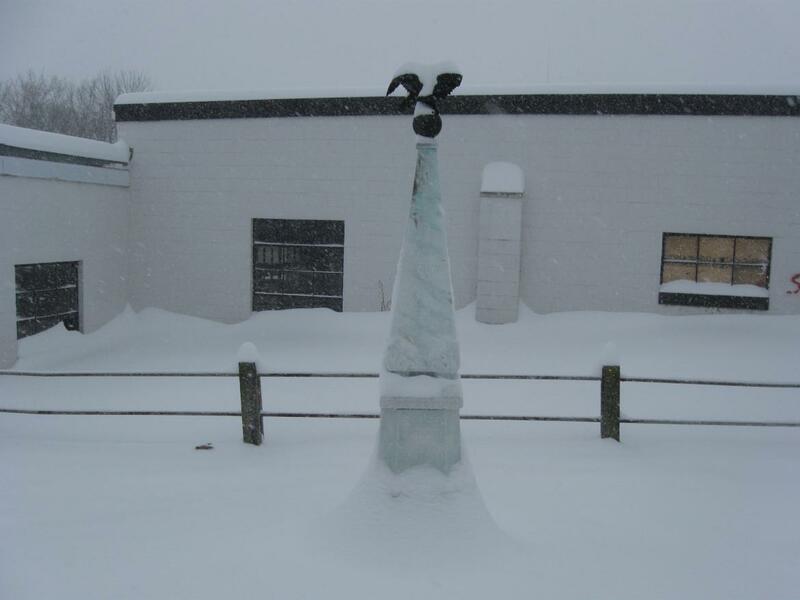 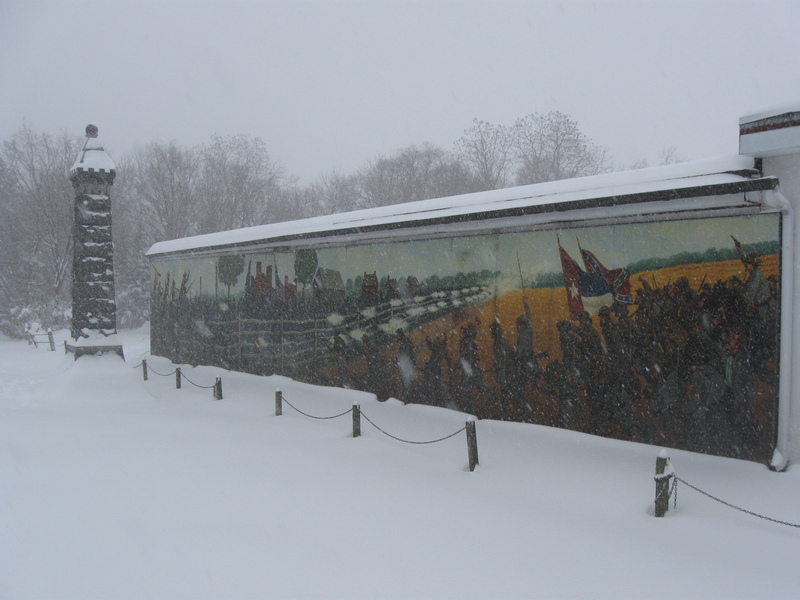 On Saturday we waded through the snow to take pictures of the mural and monuments at Coster Avenue. 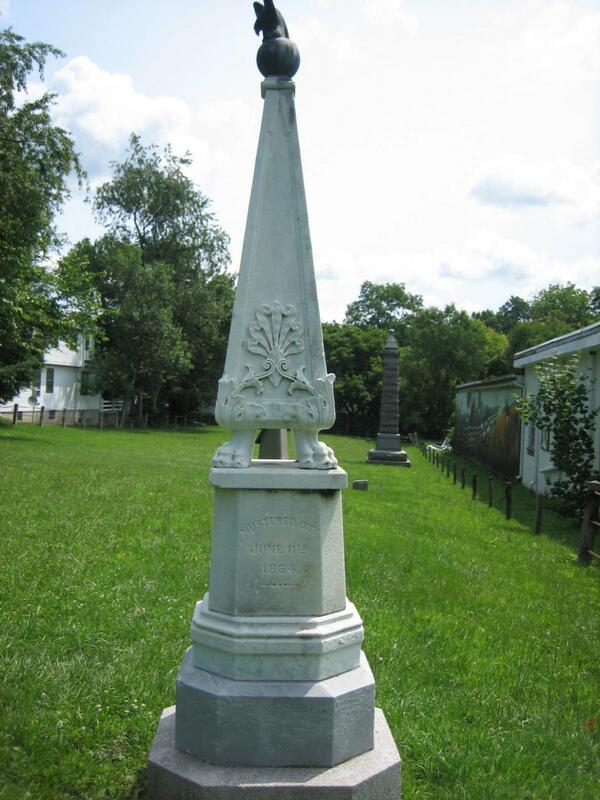 We also included some pictures we took in 2006 to provide some clearer views of the monuments. 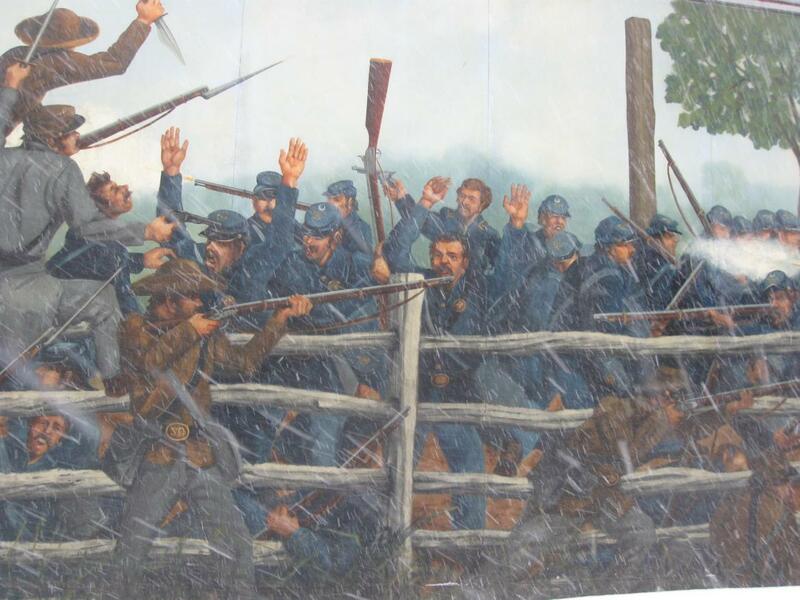 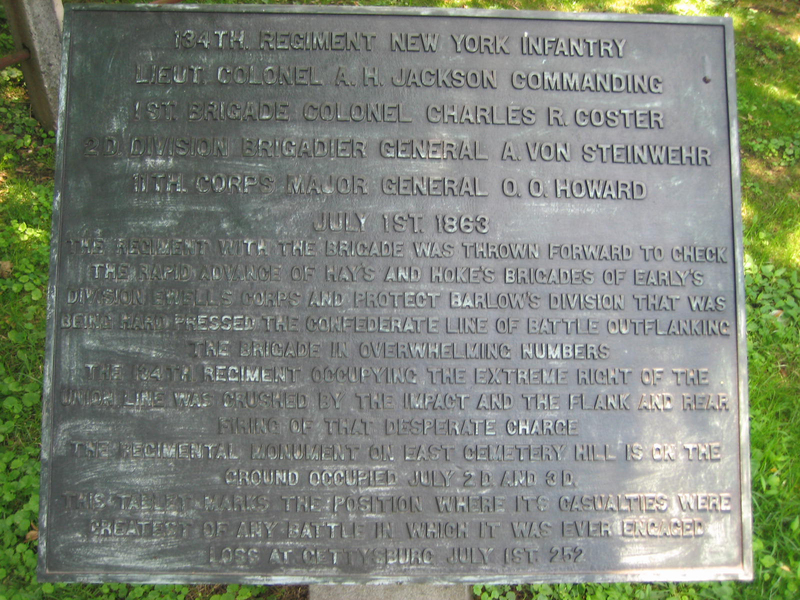 Coster’s brigade attempted a delaying action in this area on July 1, 1863. 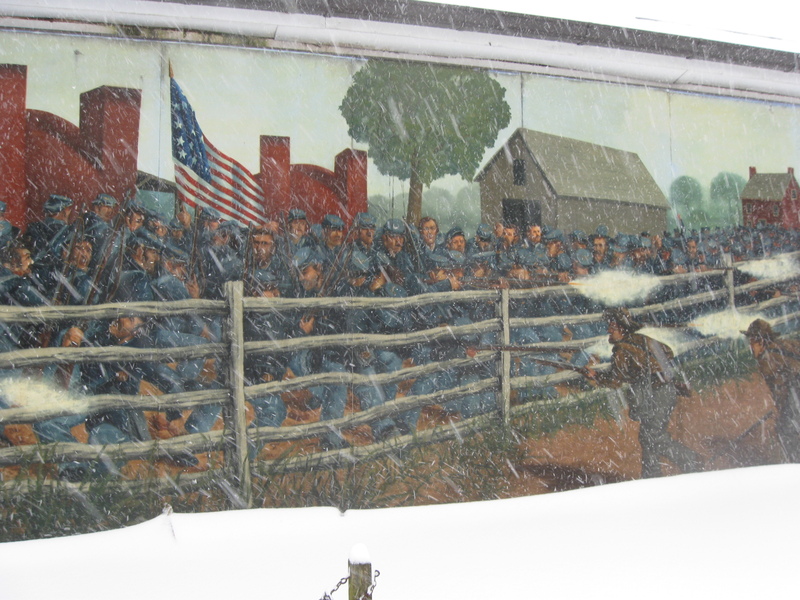 See our previous post on the Coster Avenue Mural here. 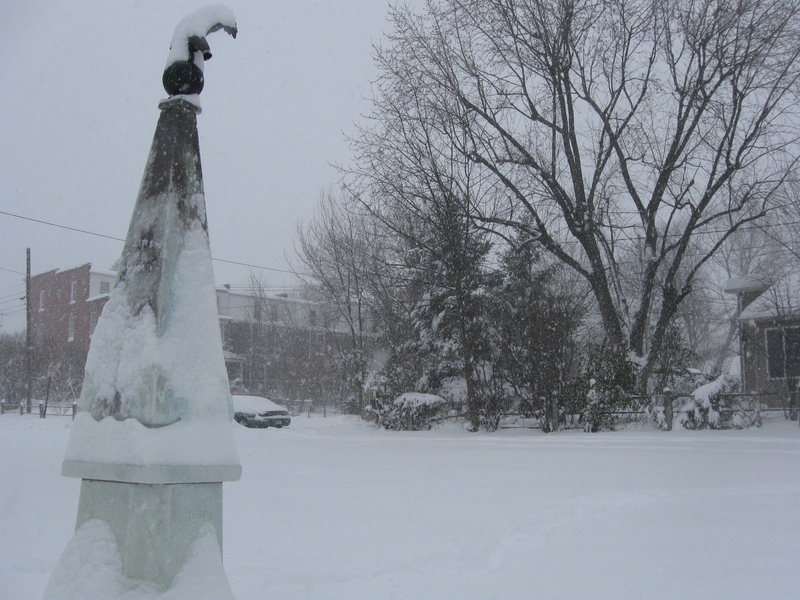 A short video of the snowfall at Coster Avenue. This video was taken facing south at approximately 11:00 AM on Saturday, December 19, 2009. 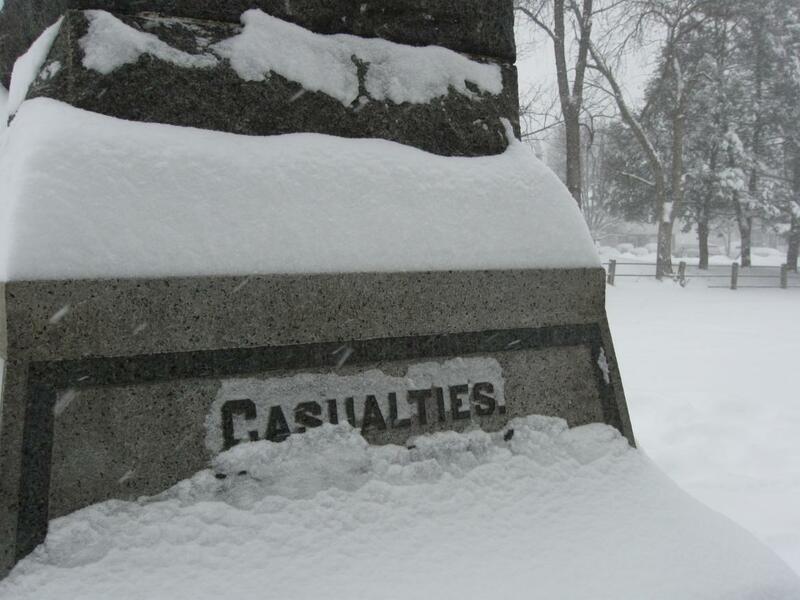 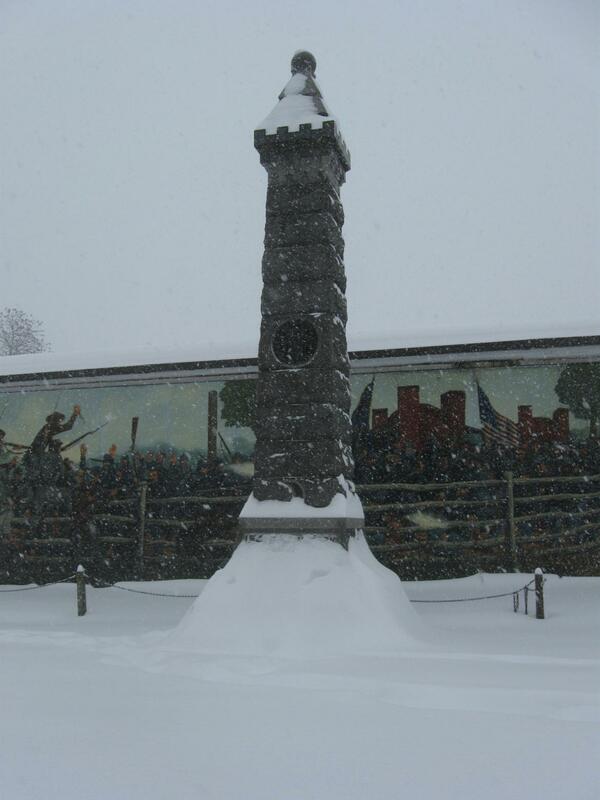 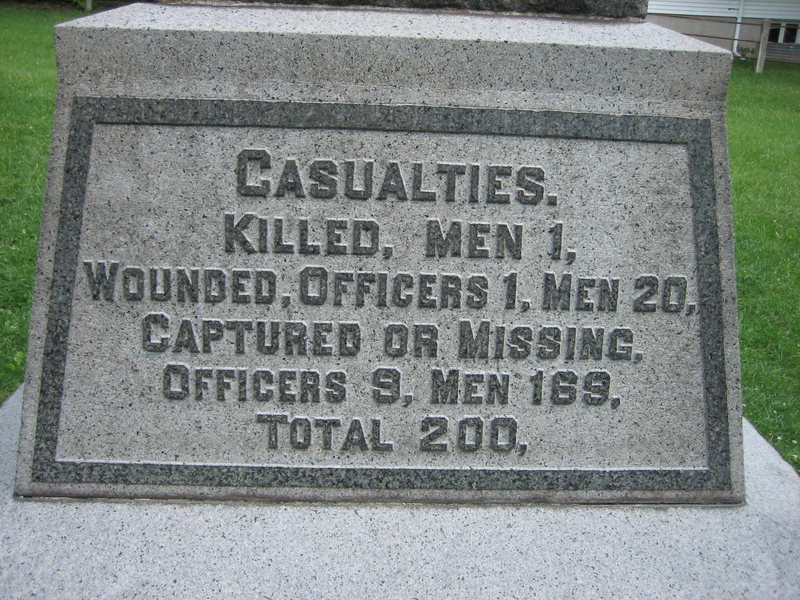 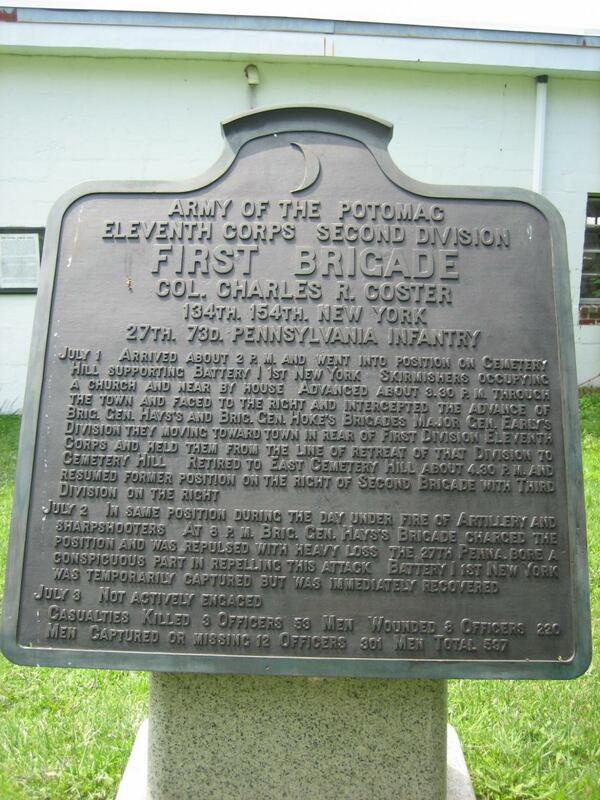 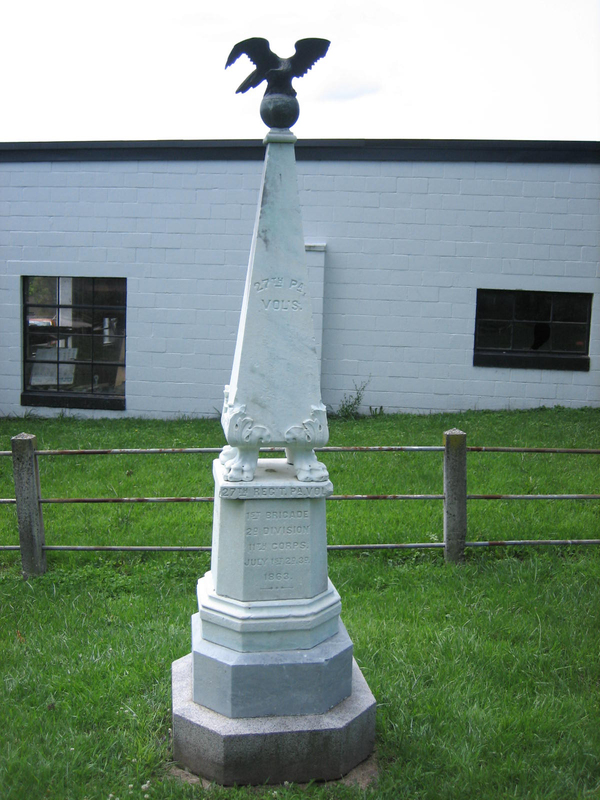 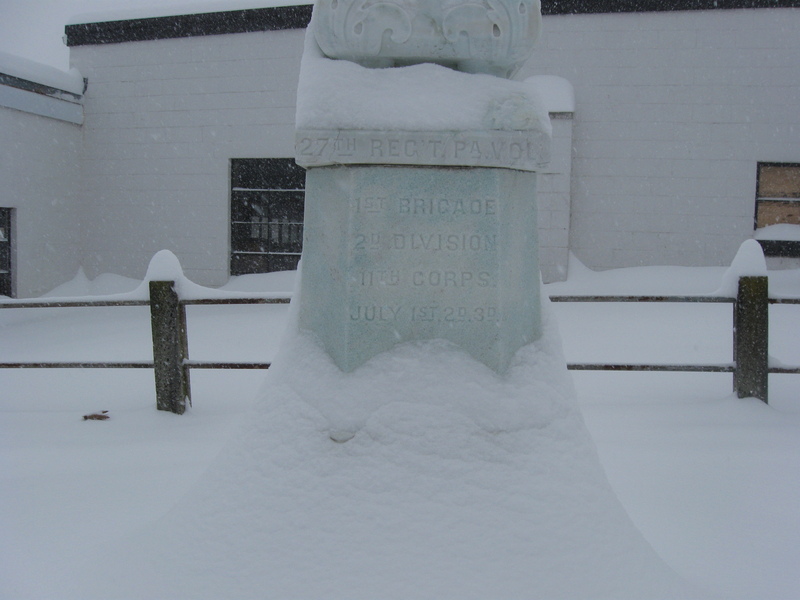 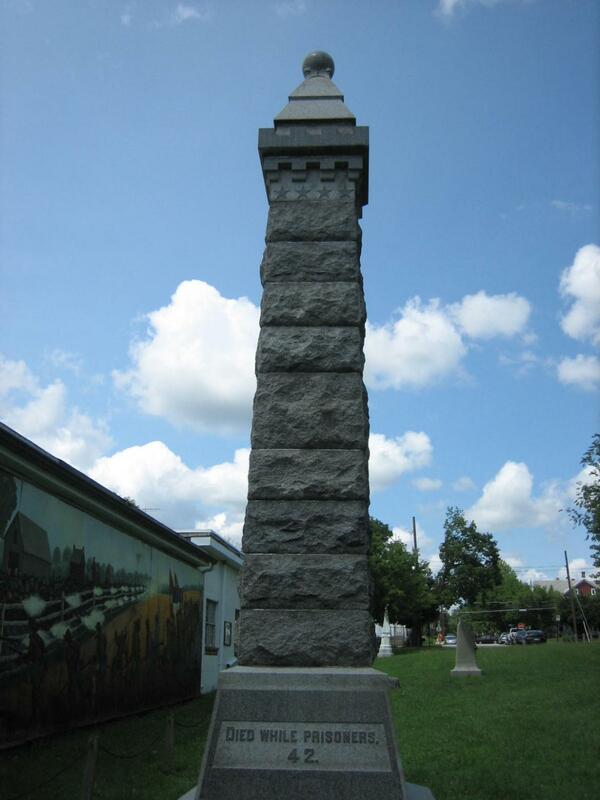 The monument to the 27th Pennsylvania Infantry Regiment. 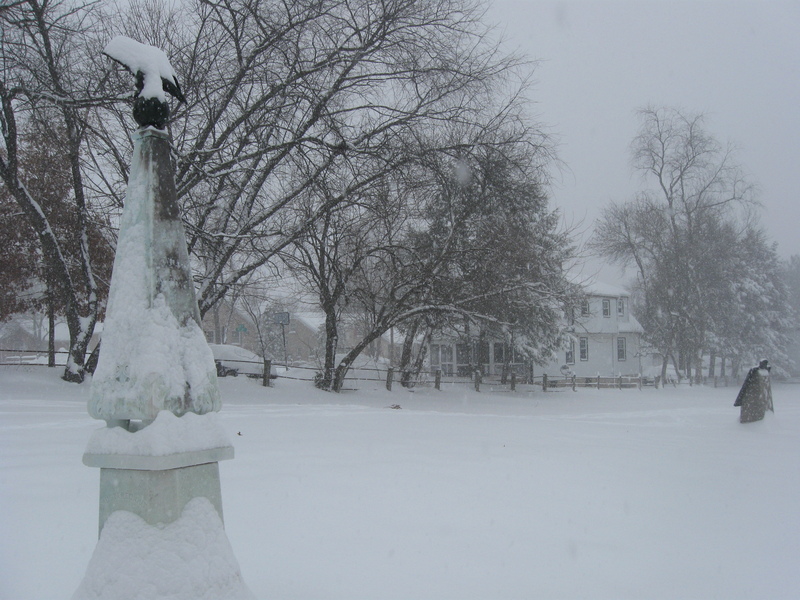 This view was taken facing south at approximately 11:00 AM on Saturday, December 19, 2009. 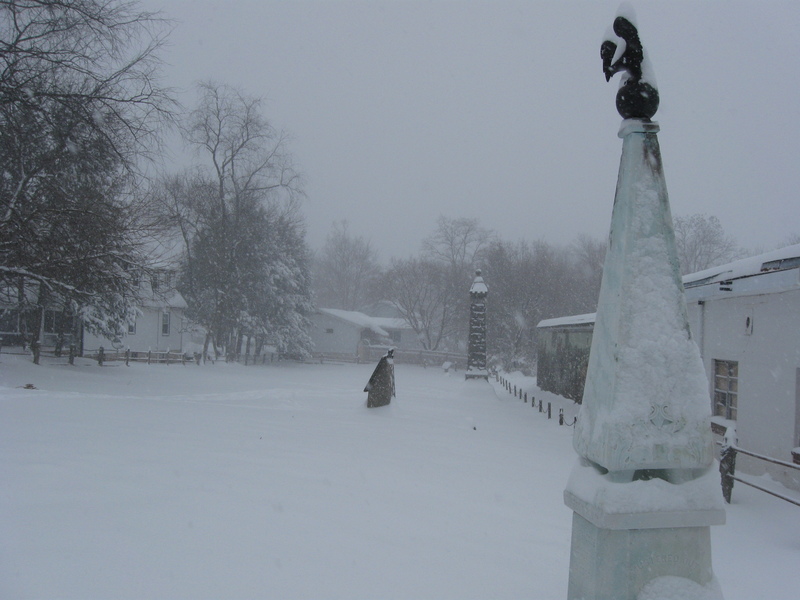 This view was taken facing south at approximately 11:00 AM on Saturday, December 19, 2009. 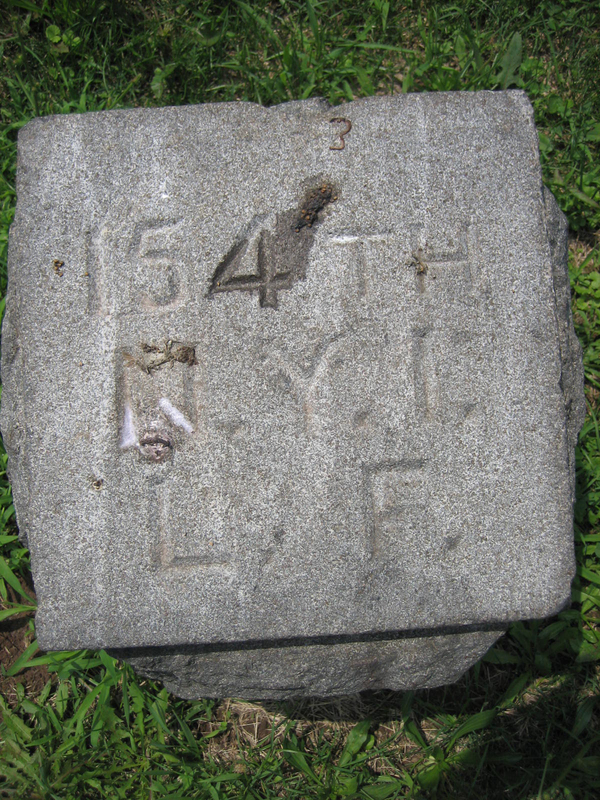 This view was taken facing south circa 2006. 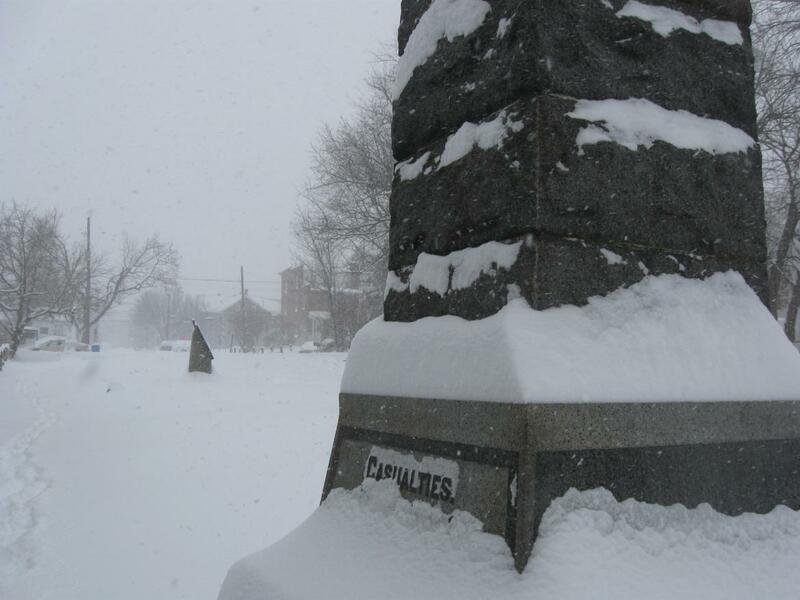 This view was taken facing east at approximately 11:00 AM on Saturday, December 19, 2009. 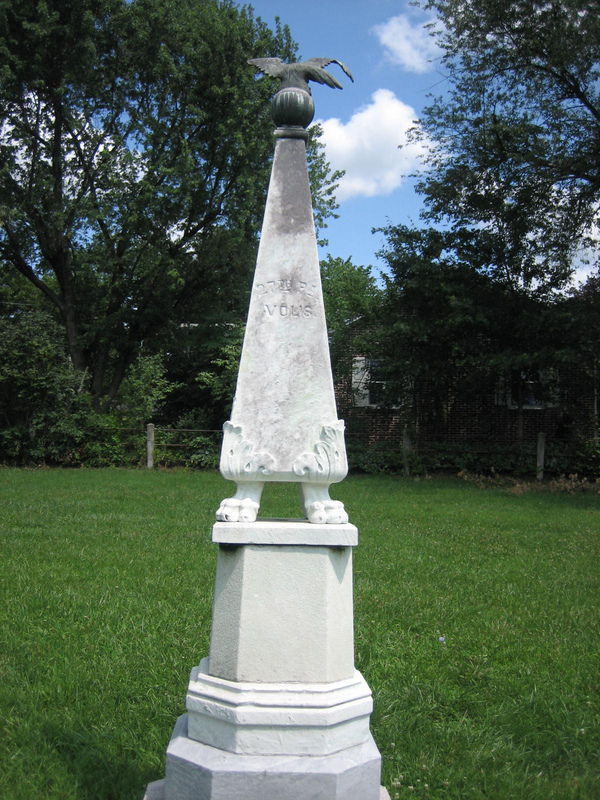 This view was taken facing east circa 2006. 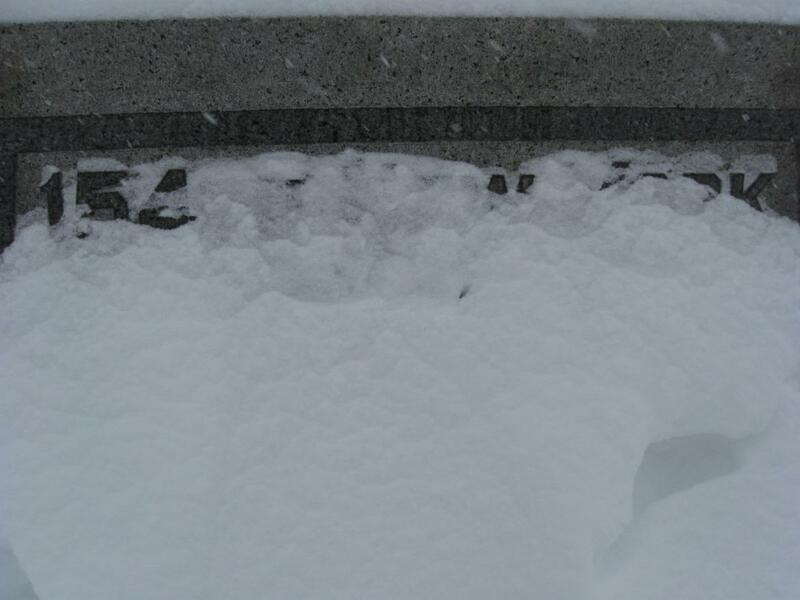 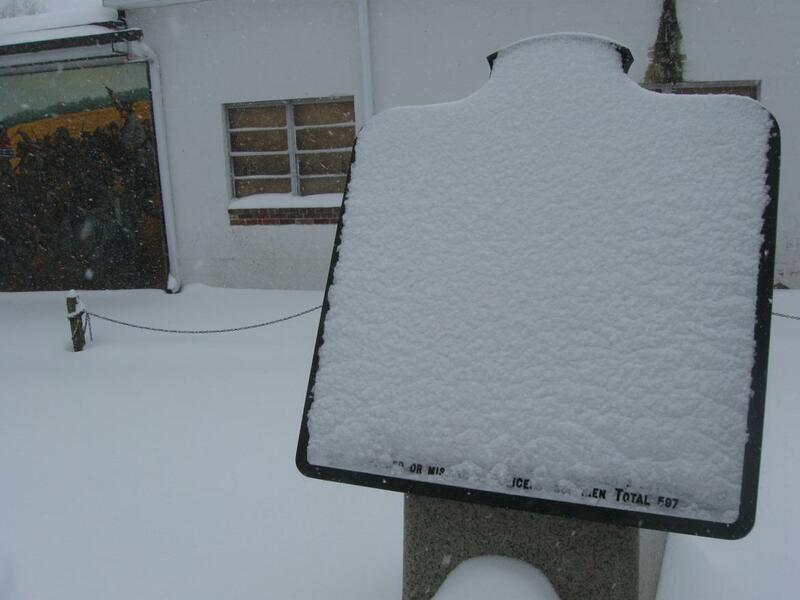 This view was taken facing northeast at approximately 11:00 AM on Saturday, December 19, 2009. 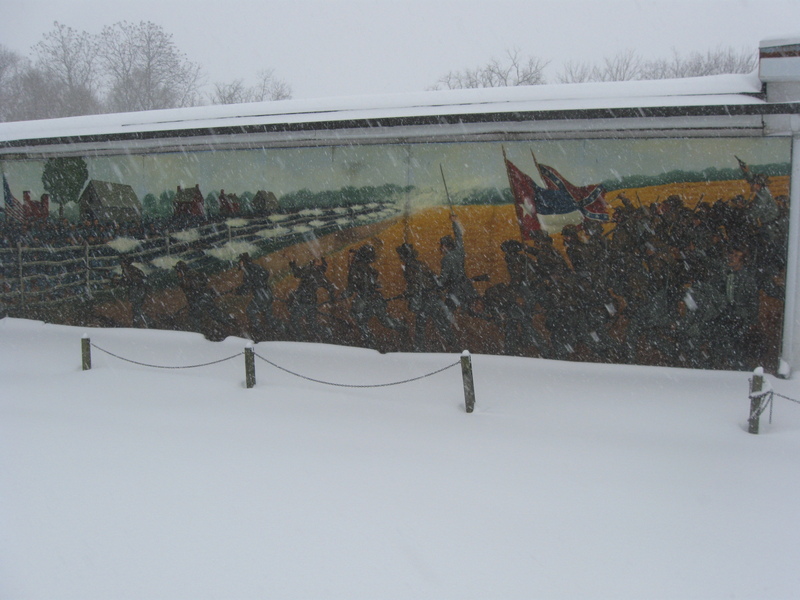 This view was taken facing north at approximately 11:00 AM on Saturday, December 19, 2009. 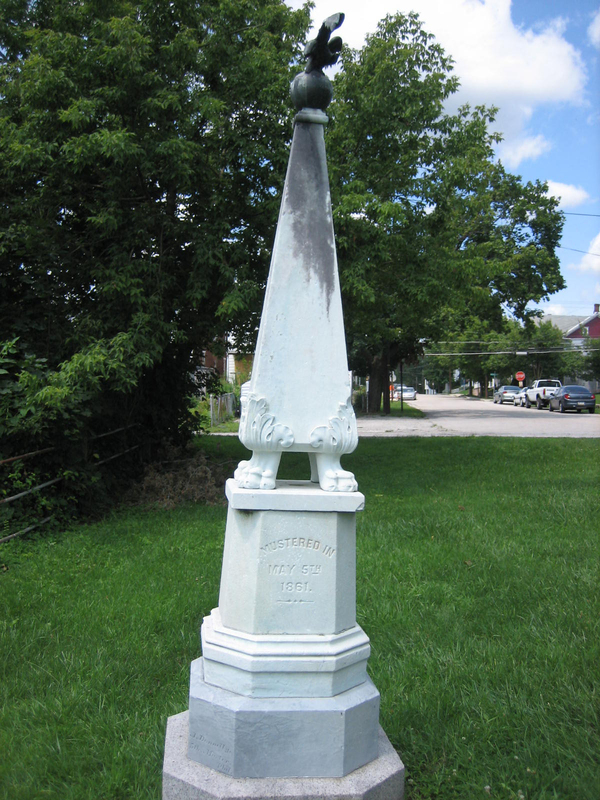 This view was taken facing north circa 2006. 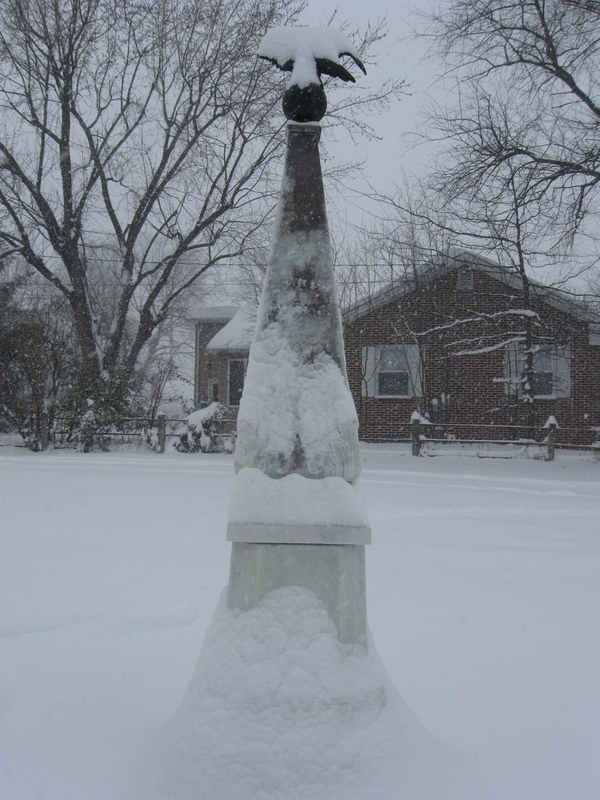 This view was taken facing northwest at approximately 11:00 AM on Saturday, December 19, 2009. This view was taken facing west circa 2006. 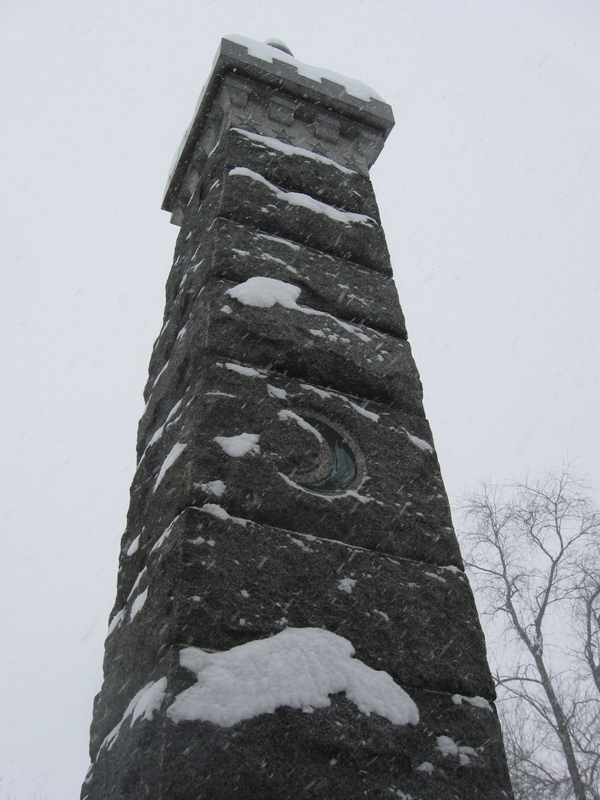 This view was taken circa 2006. 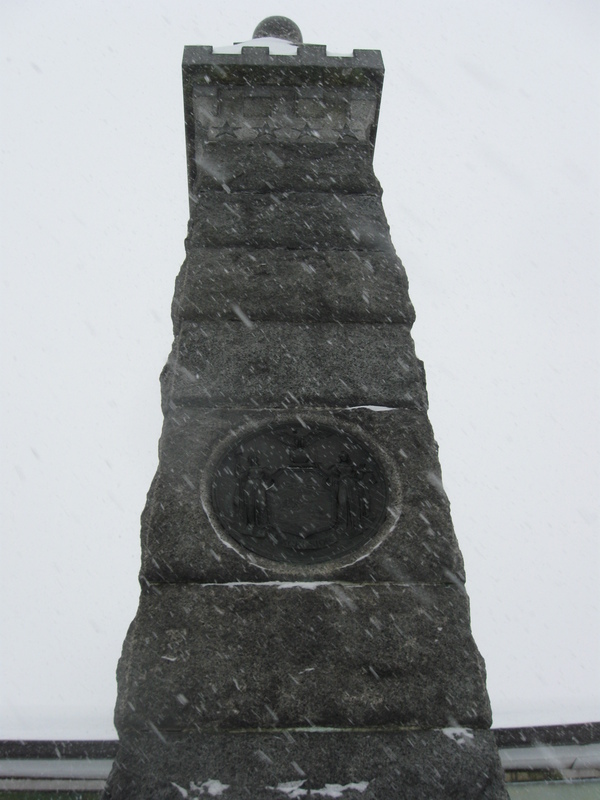 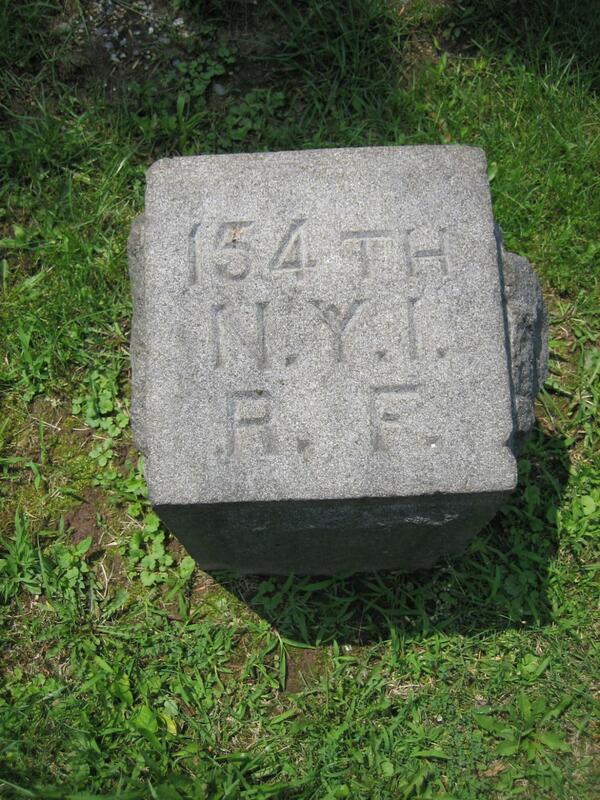 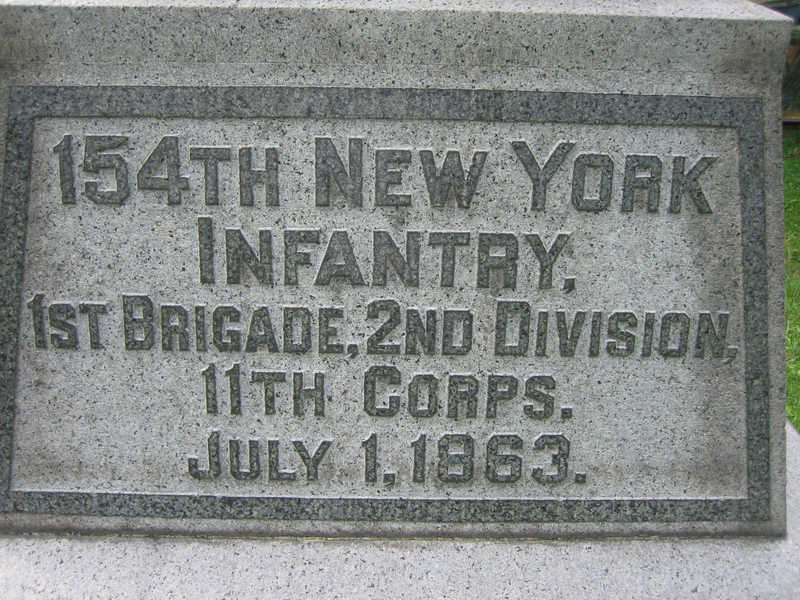 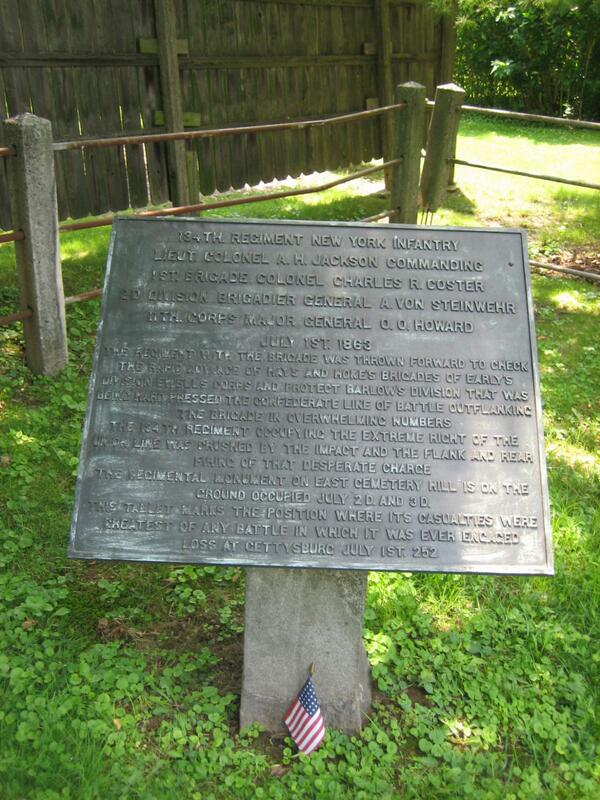 The monument to the 154th New York Infantry Regiment. This view was taken facing south at approximately 11:00 AM on Saturday, December 19, 2009. 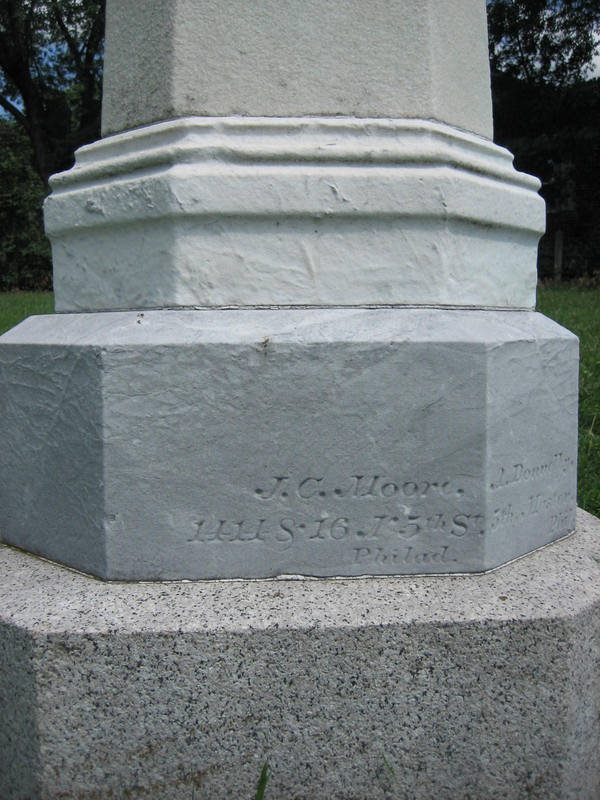 This view was taken facing southeast circa 2006.